A college rep from Illinois Wesleyan University will be here TODAY during 7th hour. Juniors and Seniors can see Mrs. Whitehouse for a pass. The first HS book club will meet in the library during lunch TODAY! Bring your lunch and discuss your latest read! Volleyball t-shirt order forms are due TOMORROW in the office. Extra yearbooks are here and for sale for $50 each from the 2017-2018 school year. See Ms. Thacker to get your copy today! Tuesday, September 18th will be a lunch meeting in Ms. Loop’s room for the NEW Spanish Club. Please come if you are interested. Freshman class ring orders are due back next Tuesday, 9/18 during lunch when Freshman meet with the Jostens rep again for orders. Please bring a check for $60 down payment or check out the ring packet for “3 payment options”. Design your ring and print your order form at www.jostens.com. There are extra packets in the high school office if you did not receive one. Friday is Football and Cheer Grandparent Night. Please come on out and support our Knight Athletes! Boys’ Basketball will be having a mandatory meeting next Tuesday, September 18th regarding team shoes. The JV Golf team finished 4th in a field of 9 teams at the BR JV Invitational yesterday. Leading the way was Wyatt Summers with a solid 41. 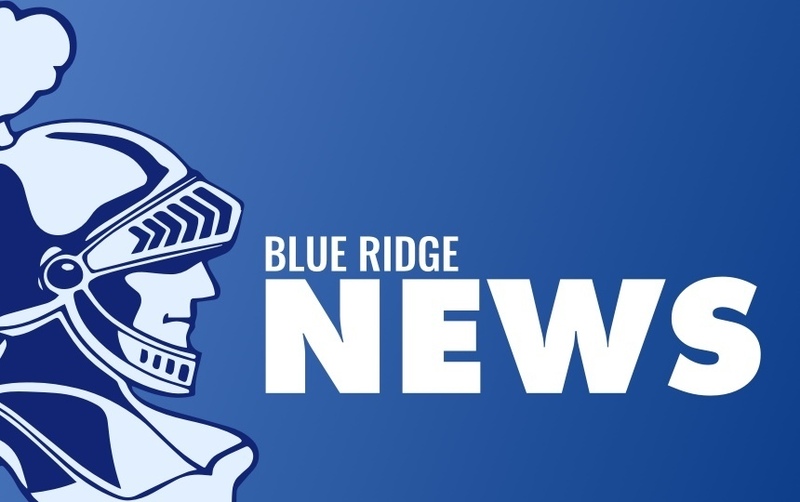 In last night’s Soccer game at HOME, Blue Ridge defeated Warrensburg-Latham 3 to 2. Scoring for the Knights was Colin Magenheimer and Troyer Gilman. They were assisted by Victor Reynolds. Bradley Flannell 1 one save on the night and Lane Nichols had 2 saves for the Knights! It was a great victory Knights! play El Paso-Gridley at HOME beginning at 4:00pm at Woodlawn. It’s Grandparents night on the golf course! TONIGHT, the Volleyball team plays the Decatur Lutheran at HOME with the Junior Varsity beginning at 6:00 pm and the Varsity shortly after. Go Knights! After school detentions this week are with Mrs. Wieber on room 211.